The Pocono Mountain Villas Winter Fun Center offers a perfect way to spend the day or night outside playing in the snow in the Pocono Mountains. Group and individual tickets are offered for two-hour, evening and midweek sessions. Why not take a mini getaway and include an overnight stay in a fully appointed villa located within walking distance to the snowtubing park? The Warehouse Tavern is located at the base of the Winter Fun Center and offers a full-service bar and cafeteria with live entertainment during the season. You can even take a horseback ride in the year-round stable located adjacent to the Winter Fun Center. 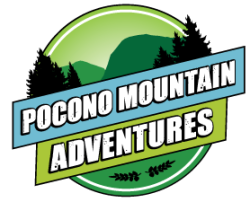 The Pocono Mountain Villas Winter Fun Center offers a perfect way to spend the day or night outside playing in the snow in the Pocono Mountains.